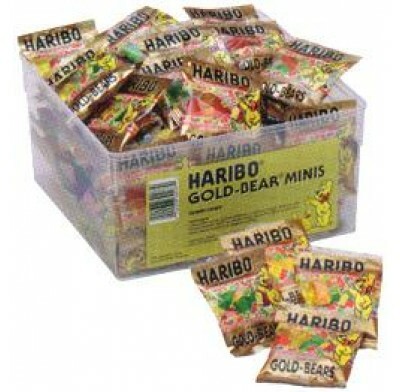 Gummi Gold Bears Mini Bags from Haribo, the classic gummy candy in assorted colors and flavors. Varieties: rainbow, raspberry, lemon, pineapple, orange and strawberry. Comes in handy tub. 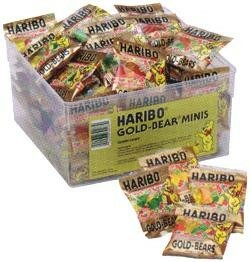 54 mini bags per tub. Each bag less than .5oz.